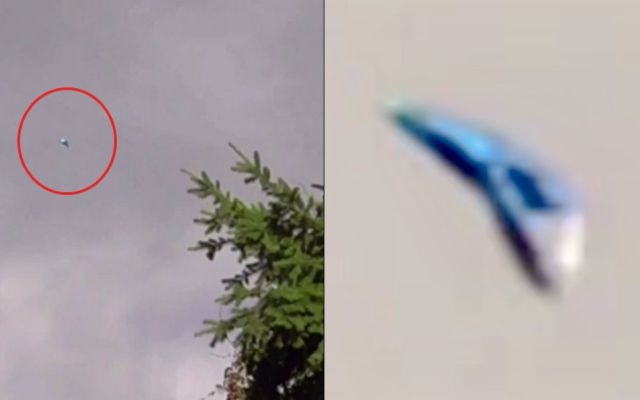 London England – 09-23-18 – The observer and videographer of this event states that he saw this triangle-shaped object flying above his head in London. He states that he just had enough time to grab his 90x zoom camcorder and capture video and still frames of the enigmatic vehicle. The object in question is seemingly unique in its color and shape in that the top or cupalo appears to be off-center as compared to other reports of triangle-shaped UFOs. Of course with today’s technology it is easy to create something like this and it is wise to be skeptical. You will see a blue color along with gray on the other side with the blue, off-centered top. Mufon case 95215.